Brief：The cities are the top spots in the U.S. for wealthy Chinese house hunters looking for third homes abroad. And when it comes to individual nations, the U.S. tops the list of global real estate hot spots.Well, in U.S.,California is the top spot for Chinese house hunters. 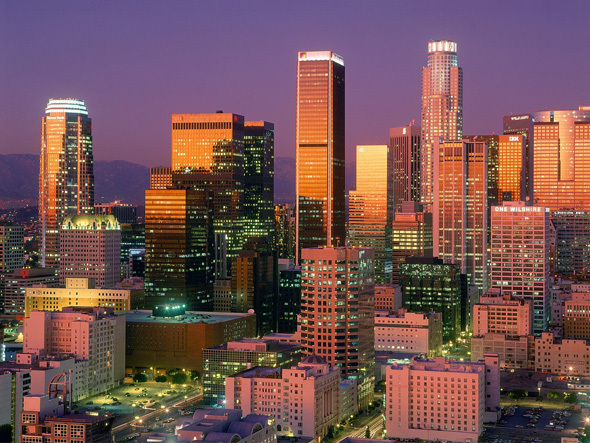 Los Angeles, seen here, is becoming a go-to real estate market now that the city is seeing investments in new, luxury, urban, mixed-use housing. The cities are the top spots in the U.S. for wealthy Chinese house hunters looking for third homes abroad. And when it comes to individual nations, the U.S. tops the list of global real estate hot spots. The U.S. remains the lead destination for Chinese investors, many of whom are hamstrung in their home country from buying second or third homes. Authorities in the country have made second home real estate transactions costly, increasing taxes and down payments. Third homes are out of the question for individuals, who often have to form limited liability companies and buy under a different name. The same often holds for China buyers in the U.S., who are acquiring homes sometimes sight-unseen after reading about the listing on a China’s real estate website. “I’ve seen Chinese buyers spend $13 million on properties in the Baccarat without even looking at the place,” said Martin Purcell, a broker for Rutenberg Realty in New York. The Baccarat is a luxury hotel and residence property located on West 53rd Street. Malaysia moves onto the list for the first time. “If you want a good proxy for where Chinese property buyers are looking, just look at the markets where Chinese developers are investing in projects,” observer says. Chinese buyers are coming to Malaysia thanks to local developers Country Garden and Guangzhou R&F expanding their property portfolio into Malaysia. And just like is happening in California, Chinese developer Greenland Holding Group is investing upwards of $3.25 billion in two mixed-used projects in the country. Portugal makes the list for the first time, in particular because of a new investor-immigrant visa policy, for which 80% of applicants are Chinese. Foreign investors who spend 500,000 euros on a property earn the right to live in Portugal, travel in the EU and apply for Portuguese citizenship after six years. That’s very convenient for business people, students and others. Singapore slips two spaces this year and here’s why: The country recently introduced measures to curb overseas buying, especially Chinese. Thailand moves up two notches this year, despite political uncertainty there. The resort town of Pattaya is the number one destination for Chinese buyers. “The strong interest suggests that the desire for a nearby vacation home outweighs any short-term concern about Thai politics,” observer says. Chinese property purchases in Thailand run parallel to surging trade ties, with China expected to be Thailand’s number one trading partner within three years. The ASEAN trade pact among Thailand, Indonesia, the Philippines, Malaysia and Vietnam means that a Chinese entrepreneur with a vacation home and a factory in Thailand has access to a Southeast Asian market of 500 million inhabitants, notes. The “other” Down Under saw a huge jump in popularity this year. Last year it was ranked No. 10. ”We have seen sustained and growing interest in New Zealand by Chinese buyers,” says observer. Local industry data shows that Chinese buyers account for 25% of all foreign buyers there. In the U.S., it is about 17%, according to the National Association of Realtors. The U.K. switched spots with Canada in the first half of the year, but that doesn’t meant it has lost its lure. The Chinese love international cities with brand named cache. “I believe Chinese buyers will pass Singaporeans as the largest overseas group in London property by 2016,” observer says. Chinese buyers also are increasingly looking beyond London and house hunting in smaller markets like Newcastle and Manchester. Within London, their top three neighborhoods are Brentford, Belsize Park and Wimbledon. Like California, Canada is attractive due to its location directly across from the Pacific, and growing commercial ties with China. Vancouver is the city of choice, of course, but that buyers are acquiring investment property in Toronto now as well. Italy and Germany both fell off the China investor’s radar in the first six months of 2014.